Omeros Private Label | Omero's Custom, LTD. Through many generations, the knowledge of custom clothing has been passed down and has evolved into OMEROS handmade suits and garments. We are now pleased to introduce the apex of this lineage: Omeros Private Label. Every component of every garment is sourced from elite companies around the world and sent to Naples, Italy to be made by hand. Even the Omeros label inside the jacket was chosen for its quality. Our fabric for Omeros Private Label is supplied on demand by fabric mills including Drago, Loro Piana, and Carlo Barbera – all of which are located in Biella, Italy. The buttons for each suit or jacket come from Bottonificio Padano, as we use only the rarest of natural materials, such as Mother of Pearl, Corozo and Tip Horn. We never use resins, plastics or synthetics. Our jacket linings are all silk bemberg, also known as Cupro and the silk jacket linings are all woven in Gallarate, Italy. At least 25 measurements are precisely taken for each handmade garment. Because of the precise nature of the measurements and the amount of detail needed for each fitting, we request an additional 30 minutes per appointment. 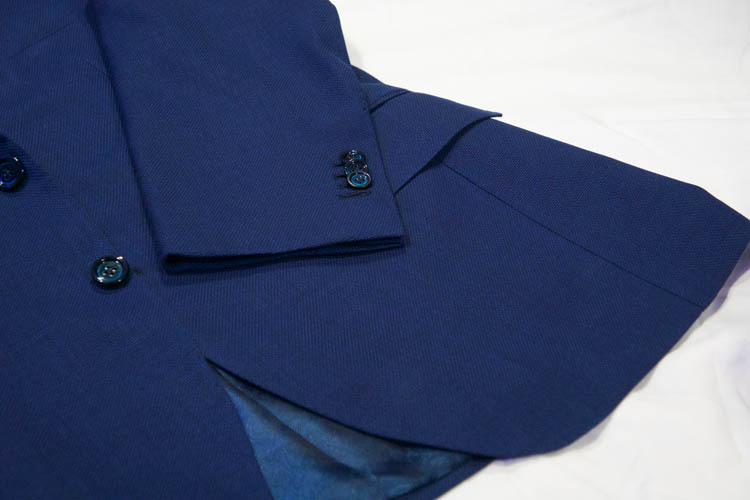 Omeros offers some of the highest quality materials available to any individual tailor or company. Once measurements are taken and the materials are chosen, the components of each item are sent to Naples to begin to be pieced together. Naples is best known for their artisan, hand sewn garments – cucito a mano - which offers aggressive styling and fit and an unconstructed shoulder. With three generations of Italian tailoring, we've finally answered the call for an even more precisely fitted suit. Matthew Piccone began his trips across the Atlantic Ocean in 2017, seeking the materials for a next-level garment. His precision, passion and attention to detail were noticed and appreciated in his home country. It was then that he was given the opportunity to share the art of a truly handmade suit with more than just a few select clients. Out of this came Omeros Private Label. What’s happened since then? 20 handmade garments delivered in less than a year. The reception of these garments has been spectacular, with many clients already placing additional orders.